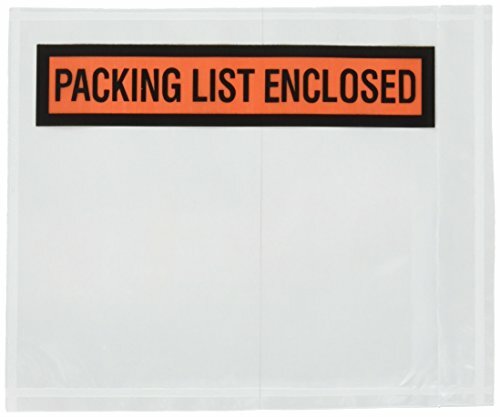 Pre-Labeled Waterproof Packing Envelopes - Packing List - 7.0" Width x 5.50" Length Pre-labeled envelope features a waterproof and oil-proof design to ensure your package is secure. 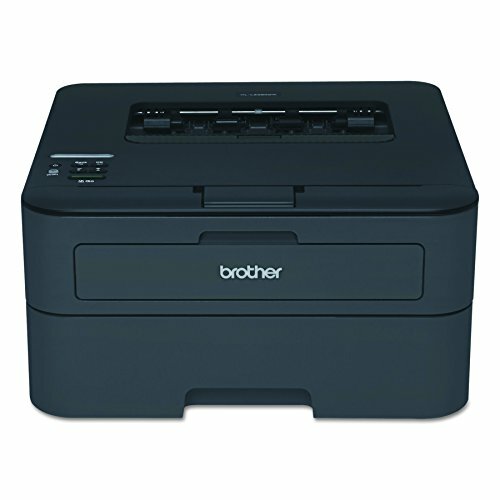 Front is printed with "Packing List Enclosed." Self-adhesive offers a quick and easy way to seal your package without the need to moisten. Top layer is made of an LDPE 30 micron adhesive. Pressure-sensitive backing attaches securely to almost anything - paper, wood, plastic or metal. 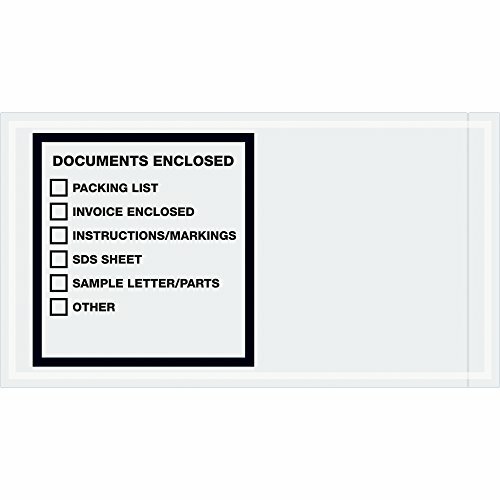 5 1/2 x 10 inch inch documents enclosed" transportation envelopes. 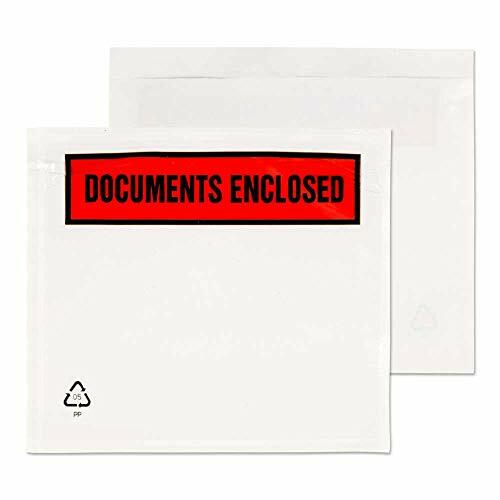 Pressure sensitive envelopes secure and protect documents that are attached to the outside of shipments. Pre-printed with inch safety data sheet" information on heavy, 2 mil poly. Hot melt adhesive backing provides strong adhesion to paper and corrugated products. Envelopes open along the first dimension. 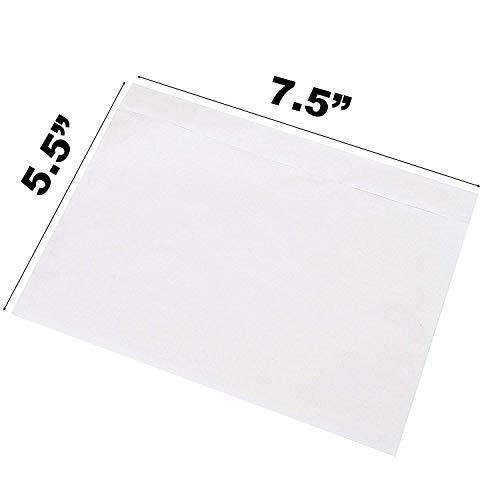 Pre-Labeled Waterproof Packing Envelopes - Packing List - 4.50" Width x 5.50" Length Pre-labeled envelope features a waterproof and oil-proof design to ensure your package is secure. 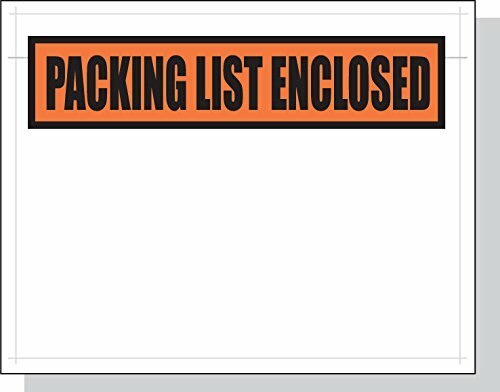 Front is printed with "Packing List Enclosed." Self-adhesive offers a quick and easy way to seal your package without the need to moisten. Top layer is made of an LDPE 30 micron adhesive. Pressure-sensitive backing attaches securely to almost anything - paper, wood, plastic or metal. 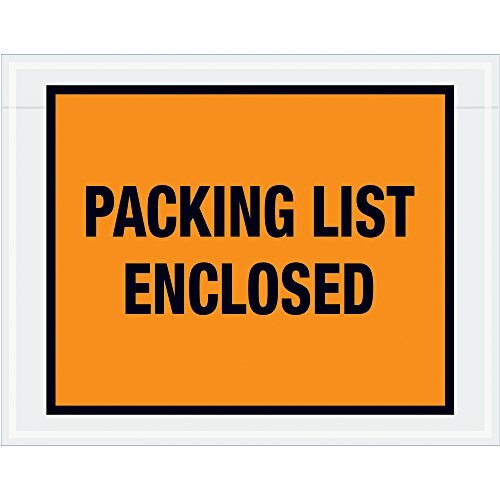 Full face, colored Packing List Envelopes are pre-printed with "Packing List Enclosed" on heavy 2 mil poly. Hot melt adhesive backing provides strong adhesion to paper and corrugated products. Envelopes open along the first dimension. 1000 per case. Measures 7-inches length by 5-1/2-inches width by 2 mil thick. 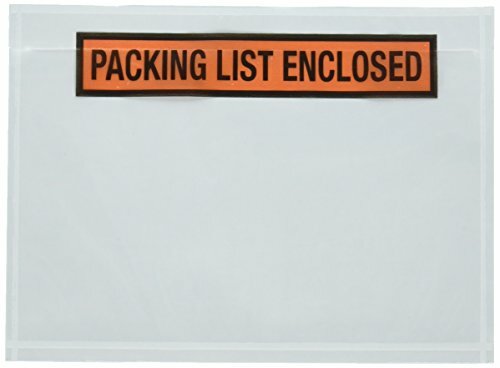 Packing List Envelopes made of 2.0 polyethylene, and are tear resistant to allow over-stuffing and to protect documents from abrasion and weather. 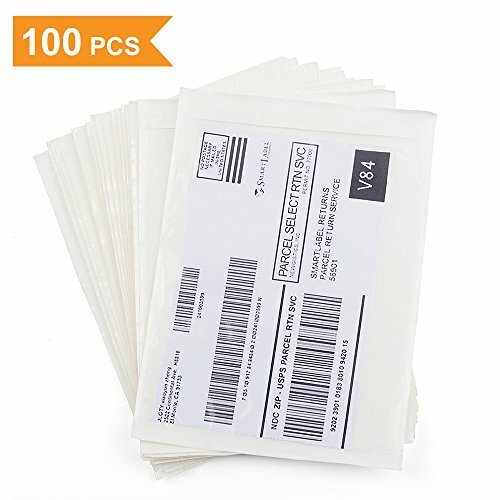 Shopping Results for "Printed Document Enclosed Envelopes"